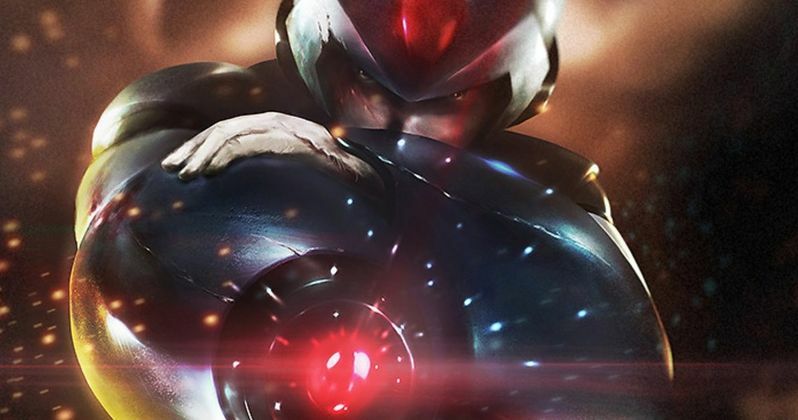 Capcom has officially announced that the live-action Mega Man movie is happening. It's been over a year since it was revealed that Paranormal Activity 4 directors Henry Joost and Ariel Schumann were attached to helm and write. However, that piece of information was never confirmed, until now. This is big news for fans of the hit video game who have been waiting years to see Mega Man blast his way on to the big screen. Capcom is moving forward to celebrate the 30th anniversary of the iconic side scroller. As of June of this year, the Mega Man franchise has sold over 32 million video game units worldwide and continues to sell, thanks to the recently released Mega Man 11. The character first showed up in 1987 on the Nintendo Entertainment System, offering gamers the unique challenge of choosing which bosses they wanted to battle first. Patterns were then recognized and a natural order was figured out from there, allowing players to beat certain bosses with ease thanks to weapons obtained from previous missions. Capcom had this to say about the movie. "Based on the influential and globally beloved Mega Man franchise, Capcom aims to appeal to a diverse audience, including not only game players but action movie fans as well, with an adaptation that maintains the world of the Mega Man games, while incorporating the grand production and entertainment value that Hollywood movies are known for." Video game movies don't exactly have the best track record, so it will be interesting to see how the studio handles the Mega Man story for the big screen. Chernin Entertainment (Planet of the Apes series) is producing the film along with Masi Oka, who produced the Hollywood Death Note adaptation. For now, there's no information as to whether or not the movie will follow a storyline from a specific game in the franchise. Mega Man 11 was just released this week, gaining positive reviews. The game doesn't really deviate from the 10 previous installments, but it has had a bit of a facelift, which left some fans with disappointment. However, the game has some new features, like Double Gear, giving it a unique and fresh spin on the old side scrolling style. In addition to a storyline, it will also be interesting to see which look they choose for the Mega Man live-action movie. For now, there is no release date set for the Mega Man live-action movie, nor is there a production start date. But, it's just exciting to know that the project is officially moving forward. Up next will be casting announcements, so it will be fun to speculate about who will put on the iconic blue armor to portray Mega Man on the big screen. For now, gamers have Sonic the Hedgehog to look forward to with Jim Carrey playing the villainous Dr. Robotnik in theaters. You can read the full Mega Man press release over at Capcom. Mega Man Movie Gets Catfish Directors, Will It Be R-Rated?